If you’re happy and you know it clap your hands (clap, clap)! If you’re happy and you know it then your face will surely show it (Big Smile)! 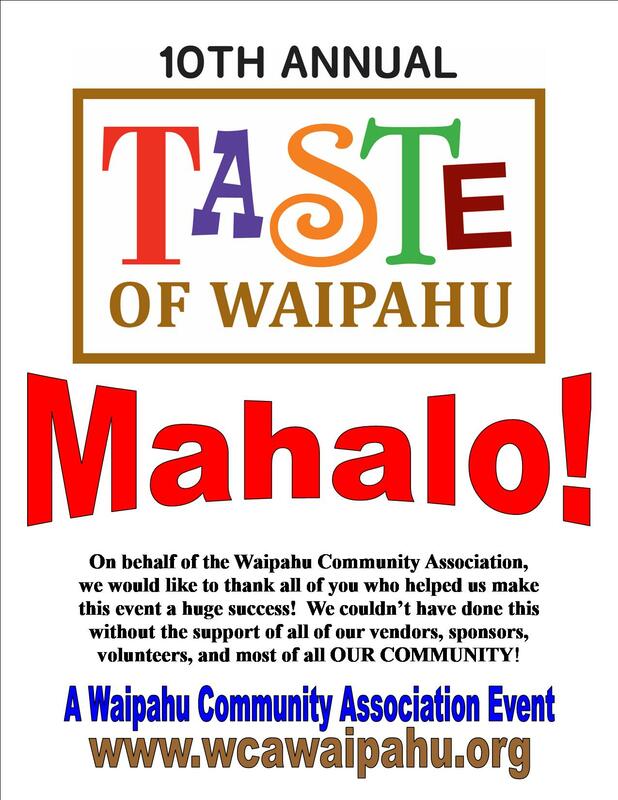 Let’s give a shout out to all of you that helped the Waipahu Community Association celebrate a successful 10th Annual Taste of Waipahu event that was held on Saturday, November 7th at August Ahrens Elementary School, Tucker Field. We could not have done this without you, our Vendors, Sponsors, Volunteers, and most of all OUR COMMUNITY! Mahalo to all for your hard work, efforts and support!